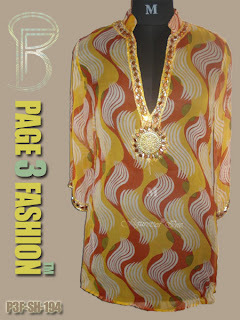 This top has amazing abstract print in red, yellow and white color combination. It has stunning hand embroidery with best quality stones and sequins on neck and bottom of ¾ sleeves. It has amazing comfort for the wearer. •	Finished from viscose material. •	Used best quality stones and sequins in hand embroidery. •	Comfortable for day out.